This one is kinda different from the other mandalas I’ve made (except for the oak leaves around the edge, which are similar to last week’s). I was in the mood to work in threes for some reason. It sort of reminds me of a peace sign. We could all use a bit more peace in this crazy world of ours, don’t you think? 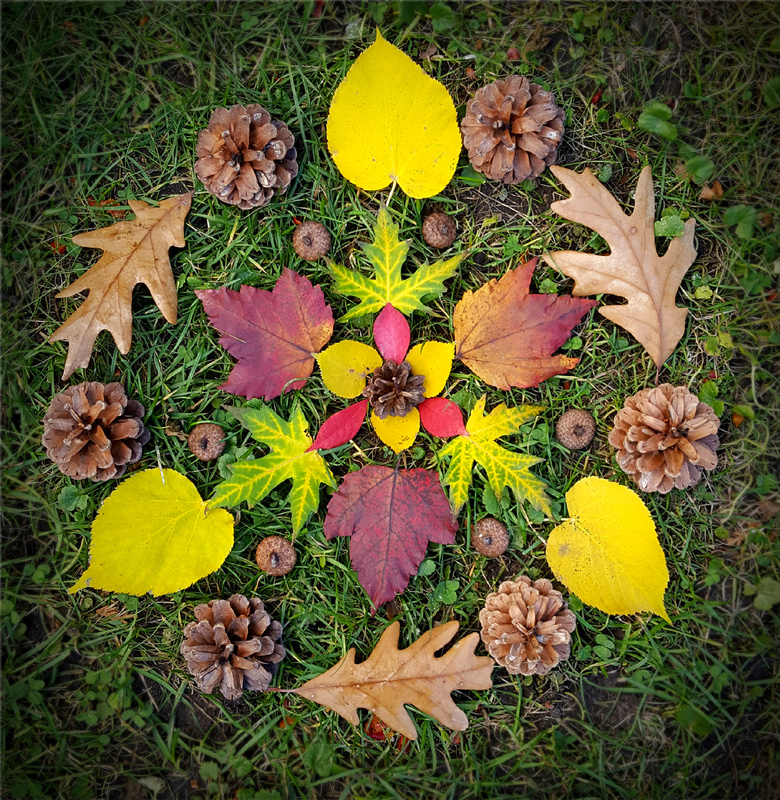 This entry was posted in Art, Autumn, Mandalas, Nature and tagged Art, Autumn, Ephemeral Art, Fall Colors, Mandala, Nature, Nature Mandalas, Nature Therapy. Bookmark the permalink. Yes, peace definitely gets my vote. 🙂 Lovely work, per usual, Julie! Peace to you and yours. I like the sorta rosy and bright feel to this one, it’s just right for peace. This is so beautiful! Our leaves are already so bedraggled and soggy. Very beautiful, and peaceful Jewel. Thank you for sharing your beautiful posts.